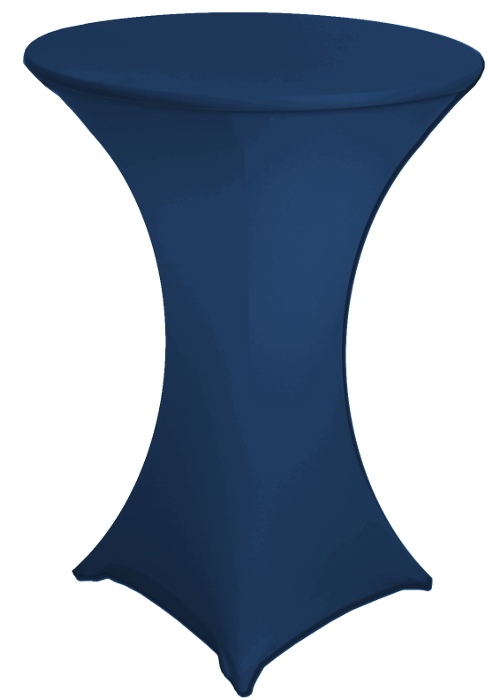 This classic navy blue spandex table cover will fit 30" diameter tables with a height of 42". They are designed for "X" & "Star" bases tables. They do not fit round bases, or "folding legs". Mix & match our navy blue with our other colors to create the look you want.